AeroBD | The AERO news Company…: Thaicom Public Company Limited (THCOM), one of Asia’s leading satellite operators, announced that THAICOM 8 was successfully launched on 27 May 2016 at 05:39 pm (local time) using a Falcon 9 rocket by Space Exploration Technologies Corporation (SpaceX) from Cape Canaveral, Florida, USA. THAICOM 8 has a total of 24 Ku-band transponders which cover Thailand, South Asia, and Africa. Co-located with THAICOM 5 and THAICOM 6 at 78.5 degrees East longitude, THAICOM 8 will be ready for service within one month’s time to serve customers’ needs for increased Ku-band capacity. 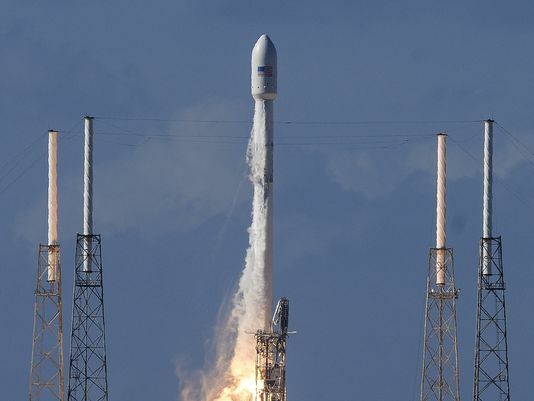 Orbital ATK manufactured the satellite and SpaceX was responsible for the launch. THAICOM 8 is designed to operate for more than 15 years.